Los Angeles, June 21: George and Amal Clooney pledged their support to the migrant children at the US-Mexico border who have been torn away from their families. 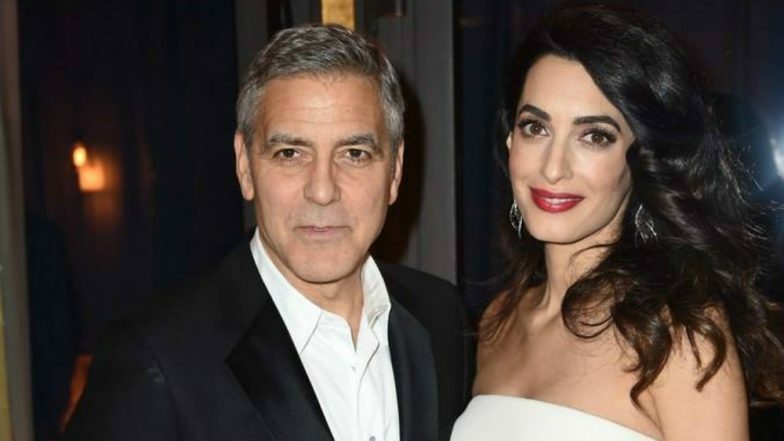 The Clooney Foundation for Justice will be donating USD 100,000 to the Young Center for Immigrant Children's Rights, the Hollywood power couple said in a statement to People magazine. "At some point in the future our children will ask us: 'Is it true, did our country really take babies from their parents and put them in detention centres?' And when we answer yes, they'll ask us what we did about it. What we said. Where we stood. "We can't change this administration's policy but we can help defend the victims of it," the Clooneys, who have one-year-old twins Ella and Alexander, said. The Young Center's Executive Director, Maria Woltjen, thanked the couple for their support during this "vital" time. "This administration's policy disregards international law and basic principles of human decency. To treat children in such a cruel manner not only violates their legal rights but also their basic needs. "We are doing everything we can to advocate on behalf of the thousands of children who are separated and alone, and we are grateful for the generous support of George and Amal Clooney and the Clooney Foundation for Justice — it could not be more vital at this time," Woltjen said in a statement. The Clooneys join a list of A-listers from Hollywood, such as John Legend, Chrissy Teigen, Kathy Griffin, Lin-Manuel Miranda, Reese Witherspoon and Ellen DeGeneres, who have slammed US President Donald Trump for his "zero-tolerance" immigration policy. Legend and Teigen announced they were making a USD 288,000 donation to the ACLU on Trump's birthday to draw attention to the migrant families. Over 2,500 children have been separated from their parents since the implementation of the policy since April. Yesterday, Trump signed an executive order to end separation of immigrant families, after images of children in cages sparked global outrage.